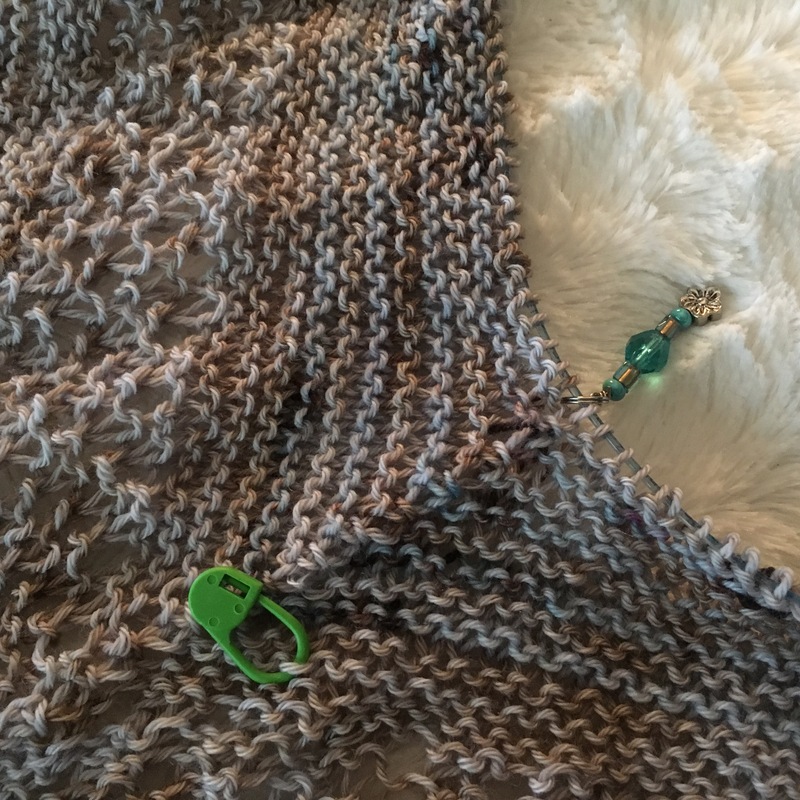 It’s summer time and my knitting has slowed to a snail’s pace. It’s either to hot to knit, or there are too many mosquitoes, or it is raining. I’m tired. I’m busy. I’m bored. I’m really not sure what the problem is but I just can’t seem to pick up the needles as often these days! Well, I do know one problem that has affected my knitting since the week-end. Our lovely rescue dog, Olive, loves to lean against me on the couch or lie across my feet while I knit. But, around midnight on Saturday, she had an up close and personal encounter with a skunk! 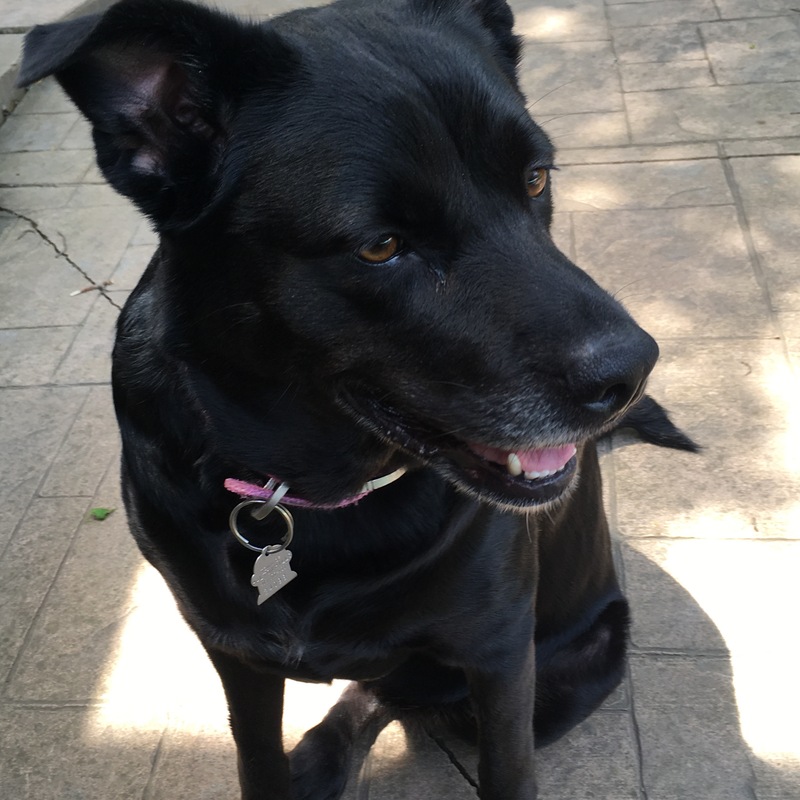 I’m sure she deserved to be sprayed – she does love to chase small animals. But, my word, what a smell. I have never in my life smelled anything that bad. Despite many baths, she still has a slight skunk odour and I’m afraid of the smell getting into my knitting! Another bath or two may set this straight (I hope!). I thought I’d share my WIPs with you and give myself a little reminder of what I have on the go, where the projects stand and maybe get some inspiration. Accountability works wonders sometimes! And, who knows, maybe I am making more progress than I think I am (maybe). WIP #1: Guild summer challenge Pi shawl Status: ❤️ I love this shawl and this challenge and the colours of the yarn. The hurdle with this is that I am using a book of stitch patterns that is heavy, sticky in hot weather, and awkward to handle. Maybe you should just photocopy it, you say? I really should! 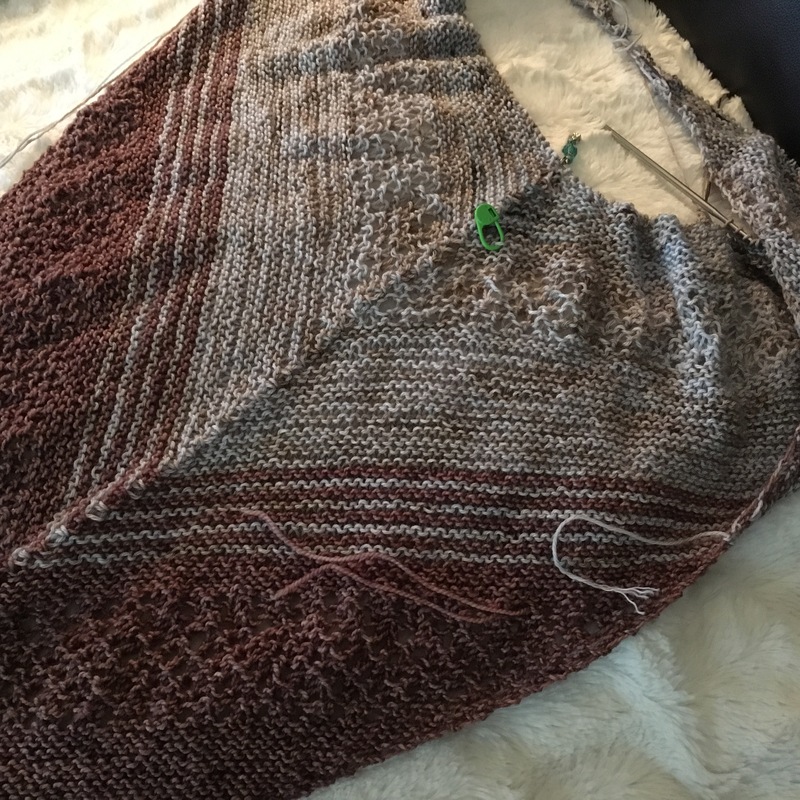 WIP #2: Find Your Fade Shawl Status: ❤️ I am plugging slowly away at this stash buster shawl. I had a slow down to due an inability (lack of desire) to wind a skein of yarn but I overcame that and have started to do the colour melting into the blue based half of the shawl. I feel like this is one of those projects that will feel like it takes forever and then, suddenly, is finished. At least, I will remain eternally hopeful. WIP #3: Envelope Status: ❤️. This project has stalled. Seriously stalled. I think partially because of the warm weather, which doesn’t lend itself to holding a large wool project in my lap. And partly through boredom. But, that does make this a great social knitting project. Note to self: Need to plan a few evening get togethers with knitting friends to make some progress! I think I am about 2/3 done with the first of two pieces. And, it is good news, I think, that it is too big to photograph properly! 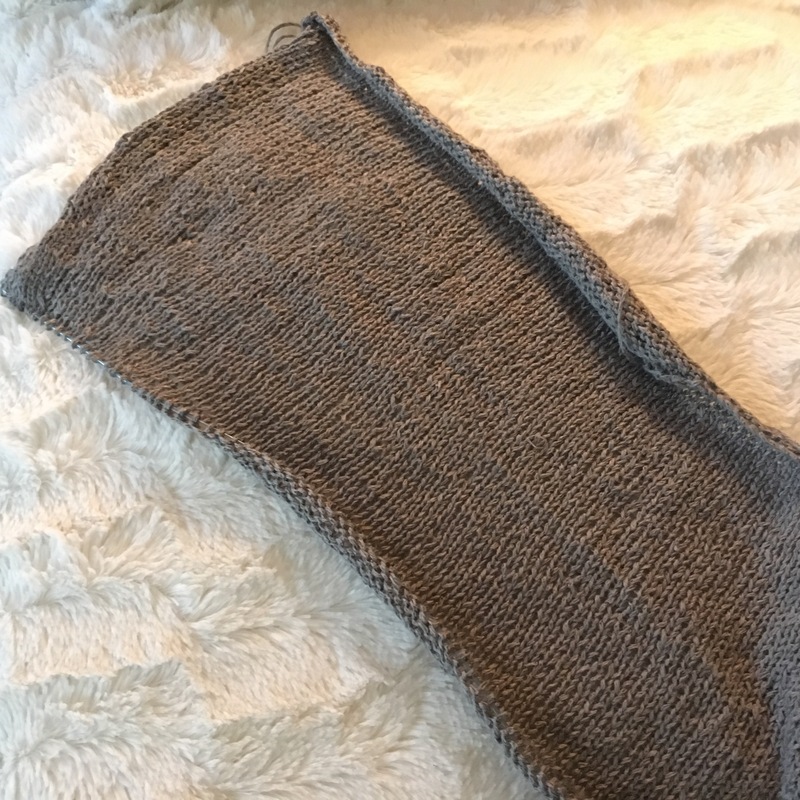 WIP #4: Callum Tee Status: 🤔 I recently got some traction on this project and I think once I do the front and join in the round it will make for some great car, social knitting. 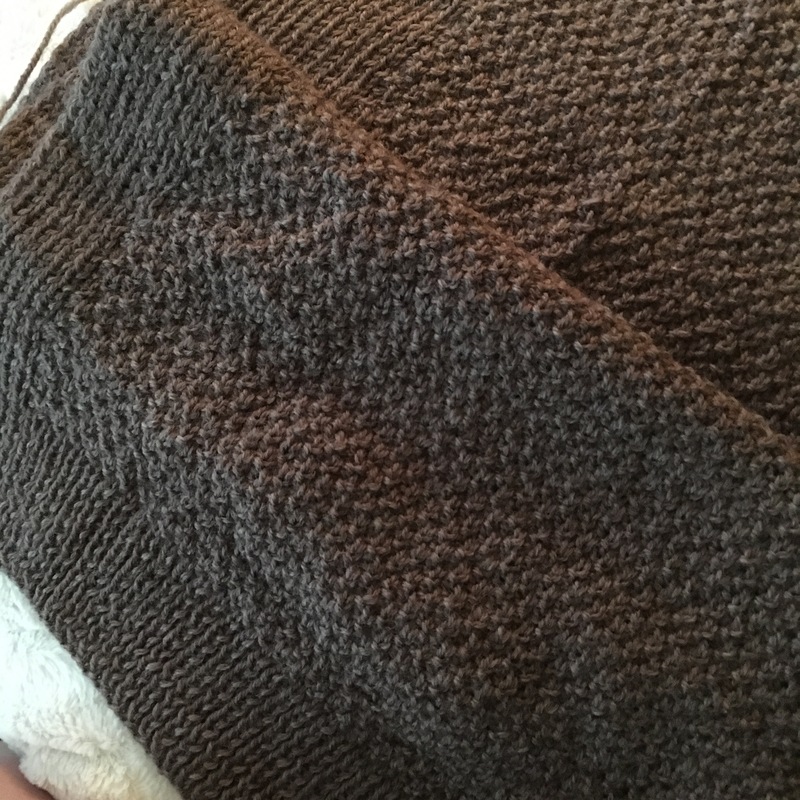 This is my Dr. Who binge watching knitting – I may have to rename my project the TARDIS tee. 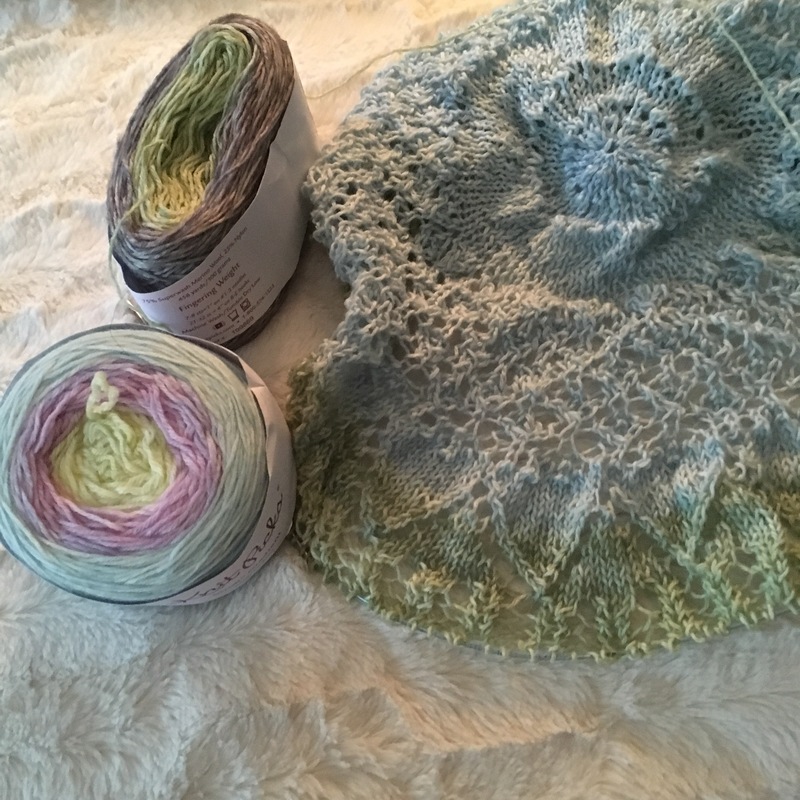 The cotton linen blend is perfect for summer knitting! WIP #5: Plarn Bag Status: ❤️ Working with plastic bags does not go well with hot and sticky weather. I am completely okay with saving this project for cool evenings and air conditioning – or even fall, if need be. It will no longer inspire guilt when I catch it peering at me out of the WIP basket. So there you have it! 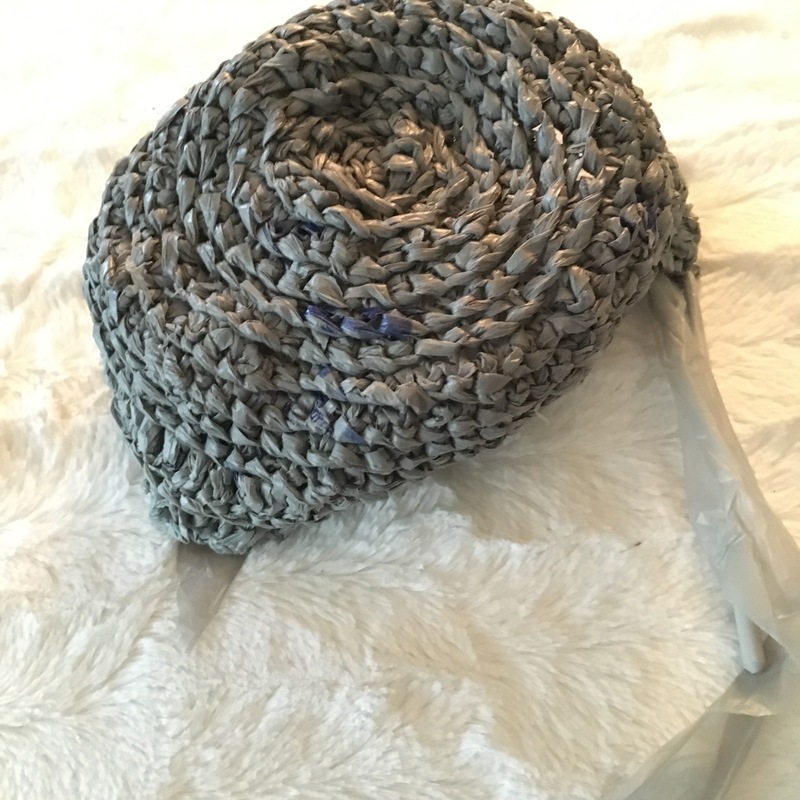 My WIP roll call is complete and I am newly inspired and off to knit! 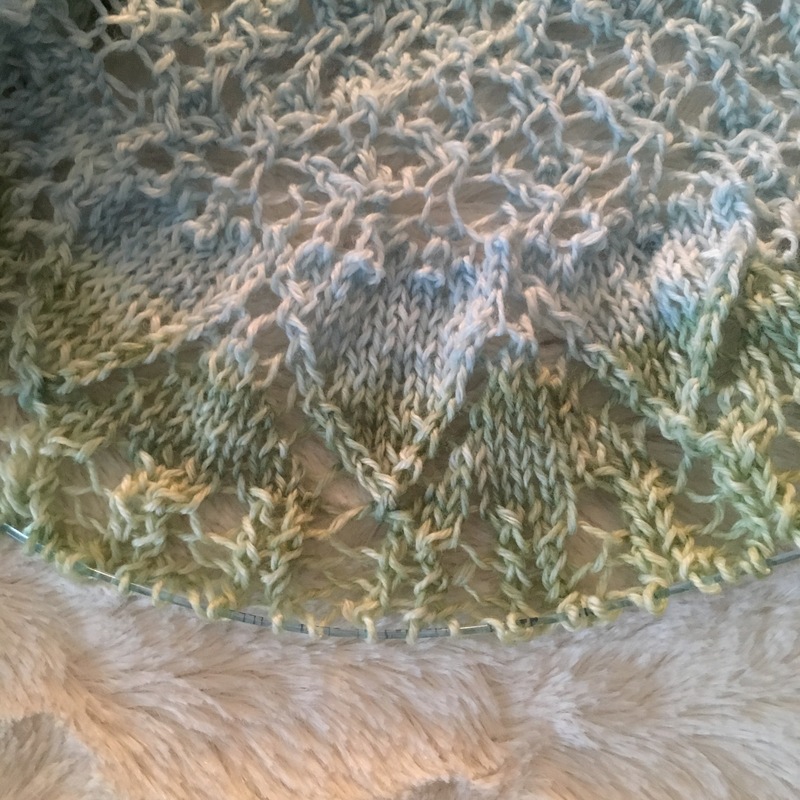 Does anyone else find that their knitting slows down in the summer?